Finding the project was rather tricky as it would not come up when I was searching the internet for volunteering in Africa. One of my friends mentioned doing work exchange as a part of her university and I used that phrase to search. Eventually I came across a student exchange blog entry that pointed me towards AIESEC on the Polish speaking internet. AIESEC is an international student organisation that can support potential candidates with finding a project to go volunteering on shorter projects, or do a longer project and get paid. When I registered with AIESEC, I was given access to their database of projects taking place around the world, and that is how I found the project with WEBDEV in Bangoua.Once I was ‘matched’ with my chosen project, I received information booklet about the project and what I need to prepare before coming. 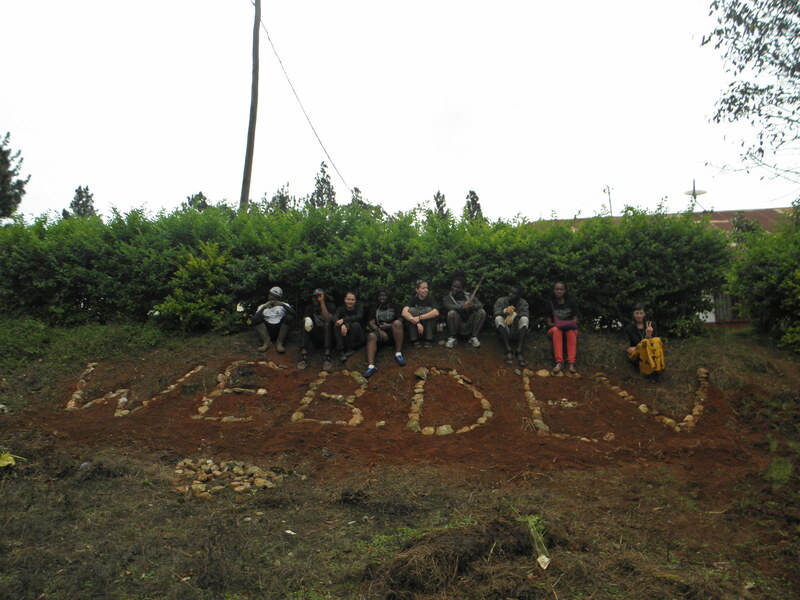 All participants were asked to raise materials and money to contribute to the project. Toys, notebooks and stationary were the things that I brought with me. These were then used during the summer camp sessions as well as to be given out at the end of the project as presents. I participated in the project from the second week (15th July 2013) to the end of the project (23rd August 2013) as the only international member, who was there for the whole time, and I saw people coming and going throughout the project duration. I think that by remaining on the project until the end has really been a positive influence on the project itself – I was someone who could provide continuity – as well as on the newly arriving interns, as I was there to welcome them and talk about what has been going on. 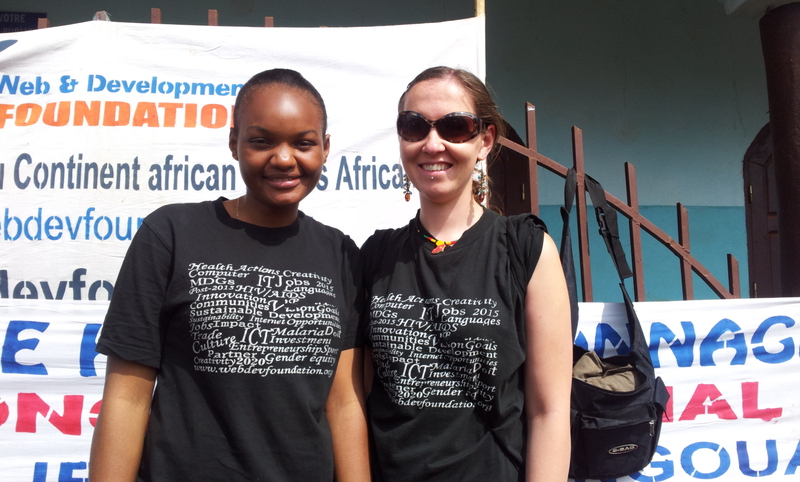 Picture: Global village and campaign spreading awareness of malaria, cholera and HIV/ AIDS in our local weekly market. I came onto the project as a newly qualified primary school teacher, so as a part of my qualification I was already used to standing in front of a group of people/ a class and do public speaking, taking into consideration the voice projection and the body language. The fact that I had had the relevant experience prior to the project did not necessarily mean that I found the session planning and delivery easy. Quite the opposite I would say, as I had very high expectations of myself and of what I wanted the sessions to look like. 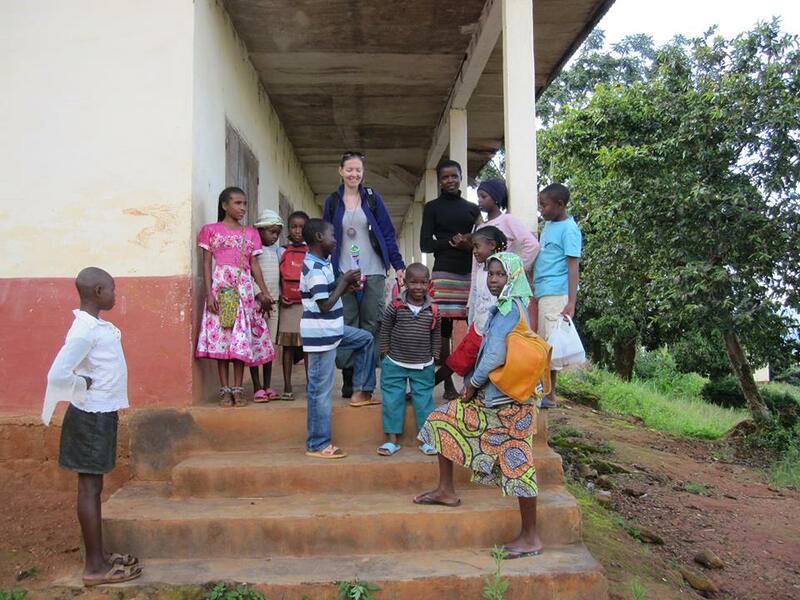 My pre-existing expectations of myself and my practice were, however, based on what is available in the country where I normally teach (UK) and it was rather unlikely that I would be able to fulfil those in Cameroon. Picture: on the way to the classroom. Firstly, my French is not good enough to deliver a session independently, so I had to learn how to work with a translator, and to ensure that the content translated is the same as the content delivered by me. This was tricky at times – a learning curve both for me and the French speaking facilitator. The lack of French also meant that my motivational talk with the students had to be limited, as every word I wanted to say would have to be translated. Picture: IT session in progress. 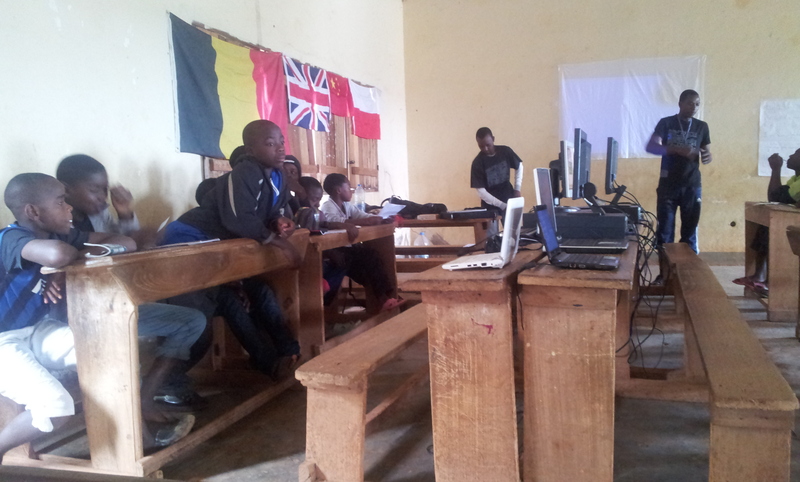 Secondly, the resources available are the resources that the interns bring with them, so that I had to be very creative and I wished I had researched better before the project and had known more about the sessions with children so that I could bring the appropriate didactic aids (e.g. big, plastic tooth/ teeth for teeth brushing presentation etc.). Picture: group photo after discussion about being healthy and sick. If I could do the project all over again I would have set my expectations of my practice slightly lower to make them more achievable and realistic in the given circumstances, without feeling disheartened. It was not until I was writing the end of the project report that I realised how much input I actually had into the project and I felt a bit happier about it all. During the project, I had to learn to go with the flow and to enjoy it without asking too many questions. And this skill of letting it go and not stressing about things that I cannot change – the lack of resources, inability to speak French; is something I will take with me back home. Hopefully it will enable me to create a healthier work- life balance to the one I had before coming to Cameroon, as life goes on even if not all of my lessons are perfect. 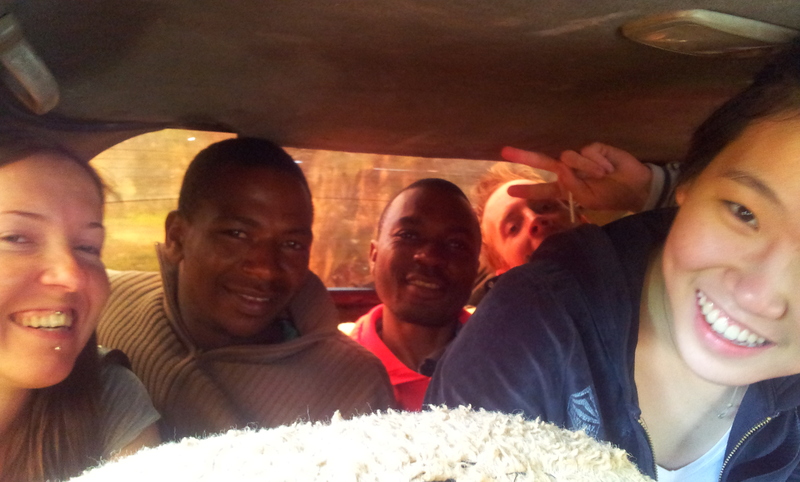 Picture: taxi ride to the local kingdom! We had 7 people there, excluding the driver the most people in 1 small taxi I’ve experienced, was 10 (excuding the driver). Timing was another factor that I had to work with and did not always find it easy. Timing goes hand in hand with the concept of “going with the flow” & “letting it go”. Our western approach to life, based on constant chase after something and close relationship with our watch and our mobile phone/ laptop is so far away from my experiences of Bangoua. For the first time in my life I could relax and not worry if things were not happening at the planned time. For the first time in my life, I had nearly 2 weeks with no access to the Internet (out of choice not the unavailability). Initially, I felt completely cut off and lost, but after a few days I did not feel the need to check my email and Facebook all the time. The sensation of newly found freedom and enjoyment of ‘here and now’ with the people in the house was a totally new experience. Not having the access to the outside world was a blessing in disguise as I could truly appreciate and enjoy my time with the other interns, without drifting back home while stuck to the computer screen & the internet. Accommodation and leaving arrangements could be another potential challenge for some. 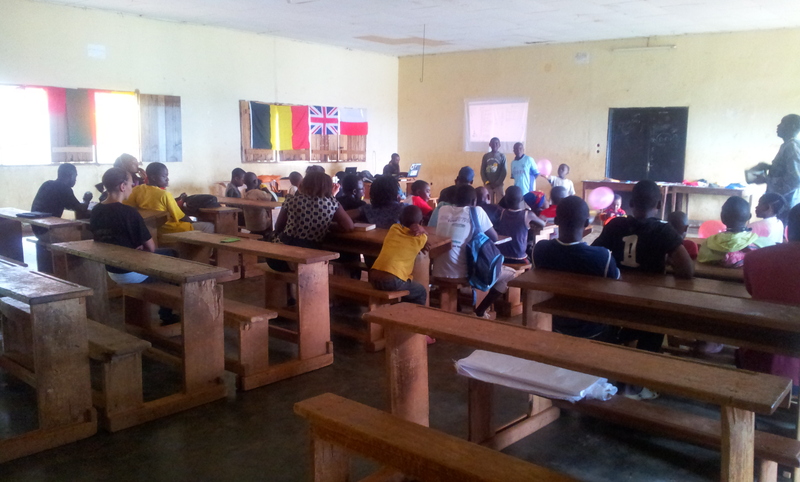 All volunteers (Cameroonians and the internationals) lived in the project house in Bangoua. The house and the garden were almost idyllic, with the running water, electricity and gas, as well as the beautiful view from the garden. The difficulty for me was to adjust to being with so many people all of the time: the house was never empty. I shared a bedroom with a Cameroonian lady, which took some getting used to (I don’t normally have to share my bed) but quickly become one of the bright sides of the project, as we got on well and I had someone to talk to if I was feeling home sick. While living in Bangoua, I did not appreciate the running water as it was cold and meant a cold shower. But later on, when visiting different parts of Cameroon, I realised that not everywhere people have running water all the time, and I felt grateful for the facilities we had in the Bangoua’s house. One of the instant challenges that I experienced unexpectedly, was learning to let people go when I am still to remain on the project. It was difficult to begin with and I remember being upset when somebody left to go back home; but with time and more people coming and going, I learnt to handle that, while hanging on to the positives and focusing on the project. 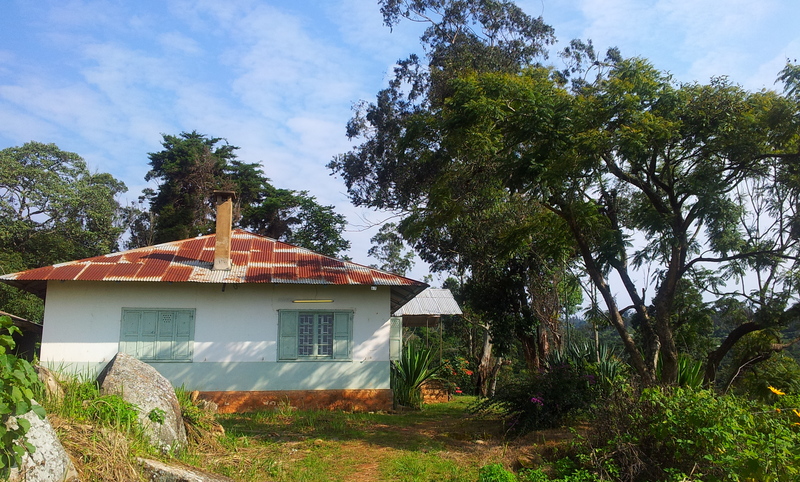 Picture: the project house in Bangoua. Having the opportunity to work with people from different countries, to chat and exchange opinions and experiences was also great. This has given me a chance to learn a little bit about the life in their country as well as to make new friends and possibly have people to visit in the future, when I go travelling. It has been refreshing for me to be able to work and observe the Cameroonian children and teenagers, and I could notice the similarities and differences between them and the young people in Europe. One of the biggest contrasts was perhaps the fact that the children/ adolescent did not seem to spend much time indoors playing games or watching TV, but they were outside most of the time playing with their friends or working – selling on the street, helping parents with chores or siblings, working on a farm. It was also interesting to watch how a toddler would not only be looked after by their immediate family members but also the extended family, family friends and neighbours. If this was the case in England, I probably would be willing to have children sooner. 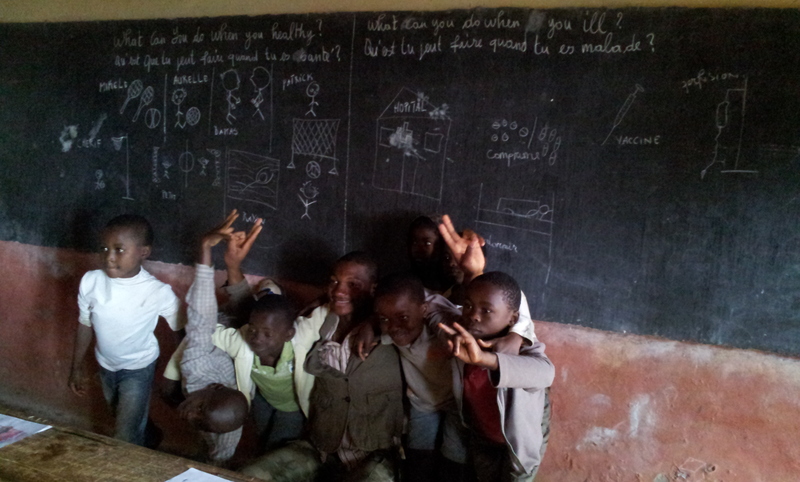 Picture: the main classroom – end of the project celebrations. Cameroon was full of surprises to begin with, and in the initial weeks I often wondered if I made the right decision of going to Cameroon for over 2 months. Yet, when looking back at the project, I feel happy & privilaged that I was able to take part, to interact with the other people there and to add my little touches to the sessions and the time spent in the house. If I could travel back in time, I would do it all over again as it has been very rewarding, full of reflections and food for mind. Bangoua was a great place to get to know and appreciate the type of life led in a village and the challenges that the people are faced with on the everyday basis. 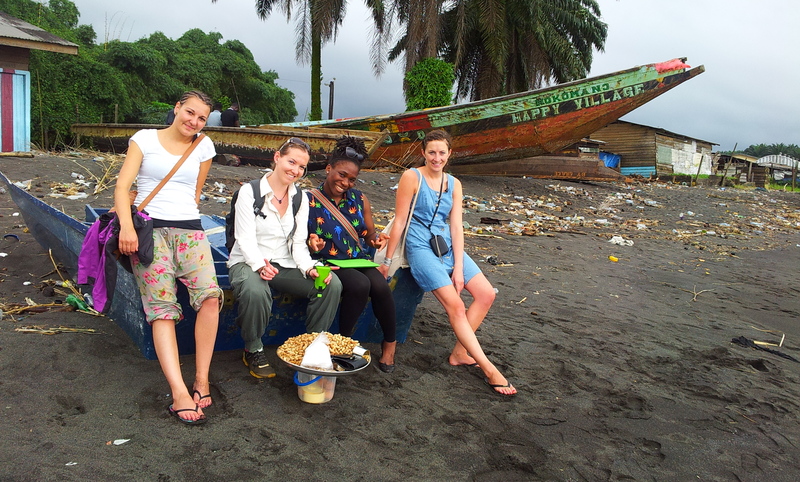 Going on the ECO Trips during and at the end of the project to Foumban, Dschang, Limbe, Monkey Sanctuary and Kribi was also beneficial for me to experience the town lifestyle and to enjoy some of the best touristic places in Cameroon. 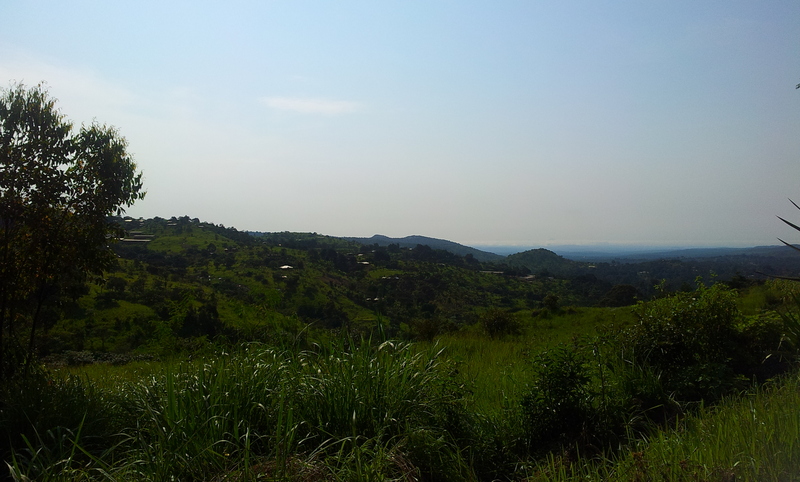 After the project I also went to Yaounde (the capital city), which has been a real eye-opener. This is when I first really realised that not all Cameroon is like Bangoua and not all Cameroonians are the same. 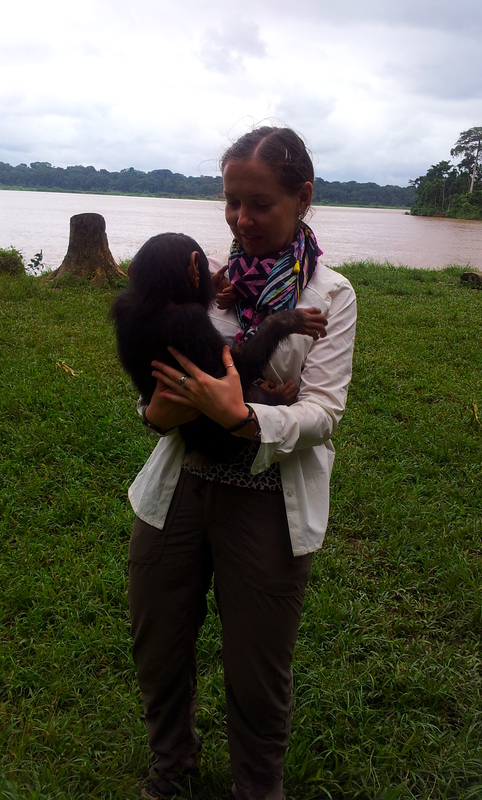 My stay in Cameroon was well worth the effort and money, and I sincerely hope I will be able to go back there for more. 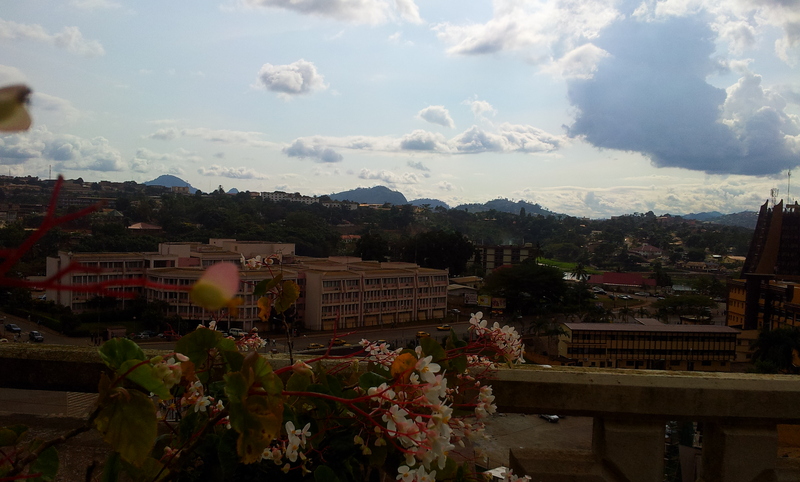 Picture: bird view on Yaounde (from the rooftop panoramic bar of the Hilton Hotel). Picture: black beach near Limbe. Picture: Monkey Sanctuary in Pongo Songo.